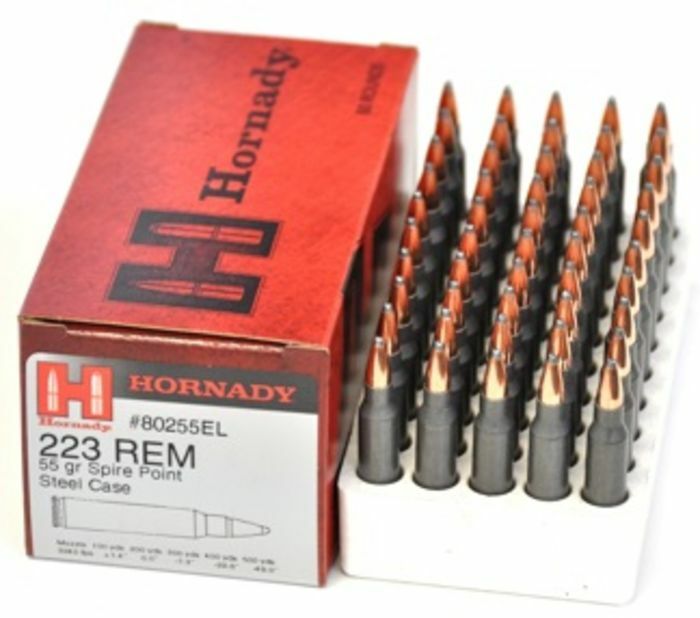 Hornady 223 Remington 55 grain SP Steel Ammo. Available in 50 pack, 500 pack or 1000 pack. Steel Match Ammunition Is Loaded In Polymer Coated Steel Cases And Is Loaded With The Same High-Tech Propellants And Match Bullets That Are Loaded In Their Match Line Of Ammunition. All Steel Match Ammunition Is Loaded With Non-Corrosive Berdan Primers And Shoots Just As Accurately As The Brass Case Rounds So You Can Shoot And Practice More Without Breaking The Bank. This Ammunition Is New Production. This Ammunition Is New Production And Will Meet All Idpa, Ipsc/Uspsa Minor" Power Factor Performance Criteria.